OpenCart, an easy to use, SEO friendly, open source shopping cart solution with powerful built-in features such as multi-language, multi-currency and much more options. ShareSoft Technology’s proven expertise in open source technologies has enabled many of our clients businesses. 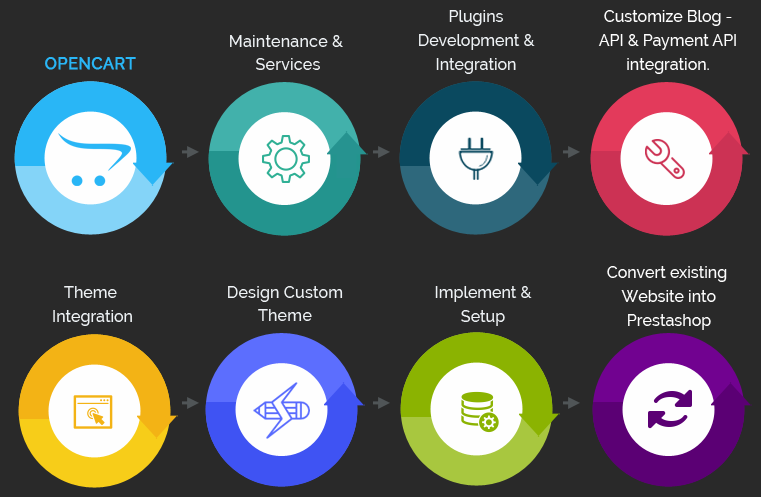 We provide all kinds of services in OpenCart platform that includes OpenCart design and development, customization, developing modules, payment gateway integration and OpenCart consulting services. We are all-rounders, providing entire web solutions which cover your business from the consultation phase to design, development, marketing and customization stage that fulfills your business needs. We also take specific roles, say converting a PSD into OpenCart and much more as no task is small. Need more information on our OpenCart services? Talk to us today.